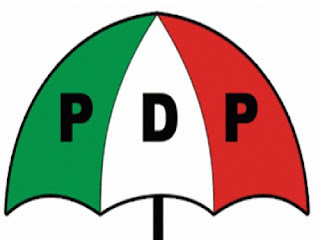 Some aggrieved aspirants under the aegis of PDP Candidates and Stakeholders Forum, yesterday, rejected the results of last Saturday’s national convention of the party which produced Prince Uche Secondus as national chairman. They also called on the Chairman of the Board of Trustees (BoT), Senator Walid Jibrin, to call an emergency meeting of the party’s National Executive Committee (NEC). Secretary, said the meeting was necessary to address contentious issues. Prince Obi-Nwosu Emmanuel, Hassan Adamu and Alhaji Mohammed Abubakar also appended their signatures on the document as stakeholders. ‎”We the concerned candidates and stakeholders hereby reject in totality the result released at the 9th December, 2017 National Elective Convention instead of the true result. “We, therefore, demand the immediate ‎recall of the purported result of the actual votes cast by delegates at the convention. “We call on the Chairman of ‎BoT to ensure the immediate execution of this demand by convening an emergency NEC meeting within 7 days from the date of this notice. “Failure to address the items‎ above, we would have no option but to announce the correct results and inaugurate the authentic National Working Committee (NWC) of the PDP,” they said.